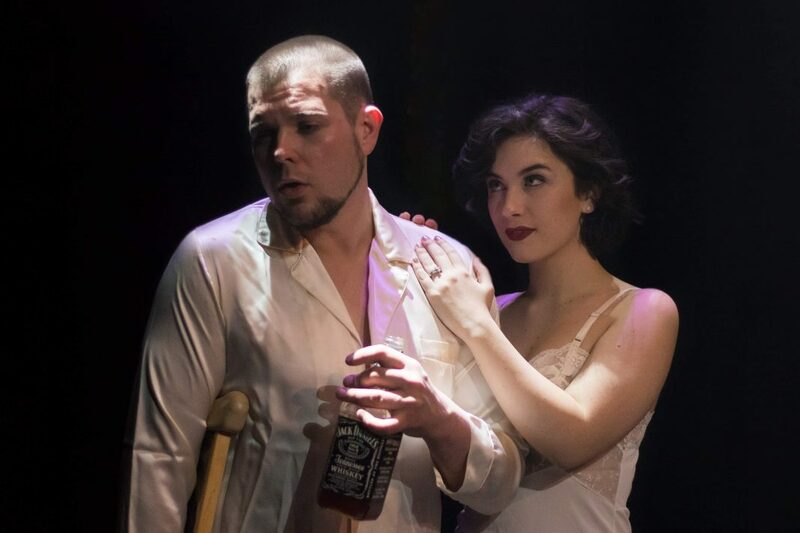 Genesius Theatre presents Tennessee Williams’ Pulitzer Prize Winning Masterpiece “Cat on a Hot Tin”. The drama is directed by Marjory Ewald, opening Wednesday, April 10 at the Walnut Street Theatre in Reading. 2019 Season Sponsor – Sweet Street Desserts & Show Sponsor – Abbe Dillon. The story takes place in a plantation house in the Mississippi Delta on a hot summer evening, as a family celebrates the sixty-fifth birthday of Big Daddy, as they sentimentally dub him. The mood is somber, despite the festivities, because a number of evils poison the gaiety: greed, sins of the past and desperate, clawing hopes for the future spar with one another as the knowledge that Big Daddy is dying slowly makes the rounds. Maggie, Big Daddy’s daughter-in-law, wants to give him the news that she’s finally become pregnant by Big Daddy’s favorite son, Brick, but Brick won’t cooperate in Maggie’s plans and prefers to stay in a mild alcoholic haze the entire length of his visit. Maggie has her own interests at heart in wanting to become pregnant, of course, but she also wants to make amends to Brick for an error in judgment that nearly cost her marriage. Swarming around Maggie and Brick are their intrusive, conniving relatives, all eager to see Maggie put in her place and Brick tumbled from his position of most-beloved son. By evening’s end, Maggie’s ingenuity, fortitude and passion will set things right, and Brick’s love for his father, never before expressed, will retrieve him from his path of destruction and return him, helplessly, to Maggie’s loving arms. “This is a gripping and intensely moving play, a play that can hold its own with anything written in the post-O’Neill American theater…Brilliant scenes, scenes of sudden and lashing dramatic power, break open…There is, indeed, no one moment in the evening when the stinging accuracy of Mr. Williams’ ear for human speech is not compellingly in evidence…Mr. Williams is the man of our time who comes closest to hurling the actual blood and bone of life onto the stage; he is also the man whose prose comes closest to being an incisive natural poetry.” —NY Times. The set is designed by Jeffrey Jones, the lights are designed by David Neel and the sound is designed by Albert Garcia. The set is built by Jeffrey Jones and Betty Gerstner. 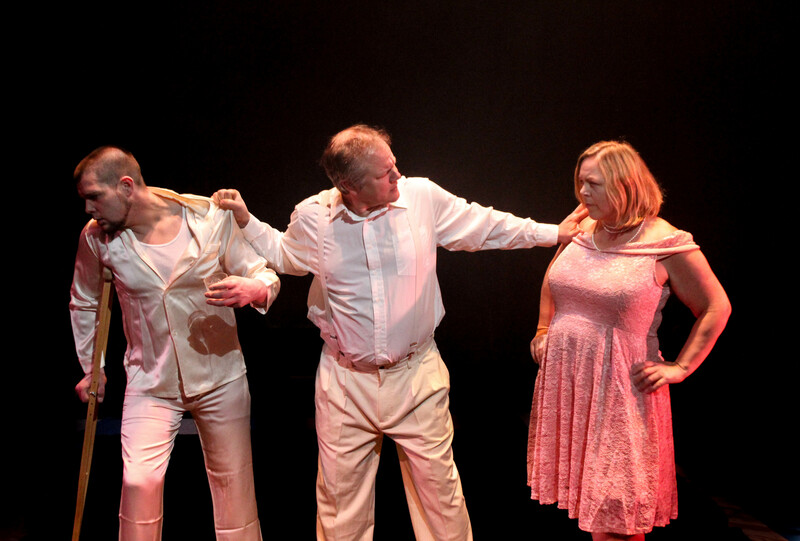 Cat on a Hot Tin Roof opens Wednesday, April 10 and runs April 11, 12, 13, (at 7:30 PM). Price Range $15 to $16. Tickets visit genesiusdifference.org or call 610-373-9500. Ticket are also available at the door. ***Genesius Theatre is presenting the revised version of this play, as presented by the American Shakespeare Theatre in Stratford, Connecticut, and subsequently on Broadway in 1974.